MR. SMITH GOES TO WASHINGTON (1939) is the story of an underdog who discovers that as, Ron Howard puts it, "the system is…imperfect," but whose persistence ultimately brings him triumph in the end. 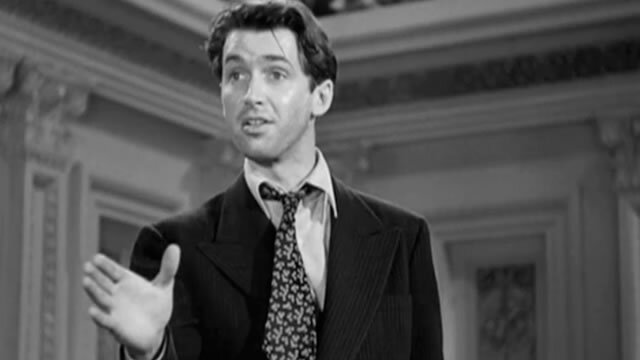 Times may have changed since Jimmy Stewart's iconic filibuster as the titular Everyman, but the film's message stands tall and true today — a depiction of American democracy that remains as relevant as ever by balancing idealism against cynicism. In this exclusive clip from the AFI Archive, Howard, Peter Bogdanovich and Richard Dreyfuss give their own insight into the significance of Frank Capra's inspirational film.